April has arrived and along with it we've got a lot of exciting updates and discussions planned! We'll be running a priority poll to find out what the wider Old School community wants to see and will be ramping up to the release of Monkey Madness II. Later this month we will be releasing a developer blog discussing a brand new treasure trail expansion! If you're a fan of clue scrolls and like a challenge, this developer blog is for you. We will be discussing expansions to the existing tiers of clue scrolls with new challenges and rewards, as well as a new tier of clue scroll! 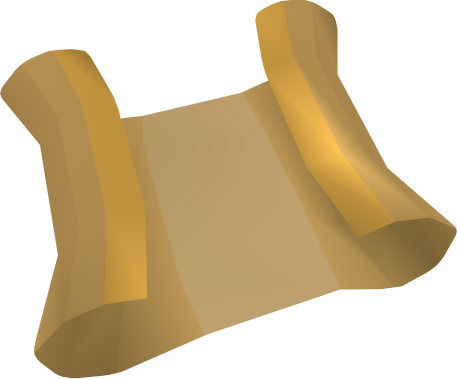 This new tier of clue scroll will offer never before seen puzzles, challenges and rewards! Completing them will be no small task and, for those of you willing to take it on, there will be a fitting reward. We've already got a huge list of new rewards to come in with this expansion to treasure trails. We also have a number of ideas for new, difficult puzzles for you to overcome. You will be able to get a bit more information on this update when the developer blog arrives later on this month. The Old School game engine often has to deal with two players doing something at the same time. This could be dealing damage to a monster, dealing damage to a player, picking up an item, anything at all. When this happens, the game engine often needs a way to decide which player's action is processed first. Currently, the game engine gives every player logged into a world a random level of priority every game tick. This makes the processing of player's actions entirely random and completely unpredictable. While the system being unpredictable can, in some instances, be an advantage, this also causes a lot of inconsistencies in combat (most noticeably player-vs-player combat). In order to make combat, and many other aspects of the game, more consistent, in mid-April we will be making a change to how the game engine prioritises different players. Instead of randomising the priority of players every game tick, from mid-April onward the game will randomise the priority of players much less frequently. By keeping the priority the same for longer fights will play out in a much more consistent way. If you know you have priority over another player you can play according to this, rather than everything coming down to luck. Yesterday's game update saw the first few bits from content poll #41 added to Old School. We've still got a lot more quality of life changes to get into game from poll #41 and you can expect to see most of it make its way into Old School throughout April. Poll #41 included a lot of small updates that were highly requested from you, the Old School community. This included clue scrolls as drops from implings, barehanded impling catching, bank placeholders and lots more. Mods Ash, Maz and Kieren have already made a lot of headway in the development of these updates and many more which were included in the poll. 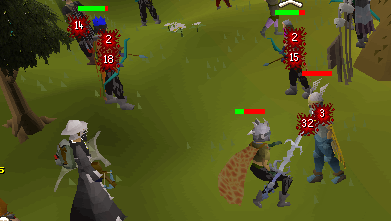 You can expect to see a lot of the remaining pieces of content from poll #41 in Old School as soon as next week! Later on this month we will be releasing a survey to help us get an idea of where the priorities of the Old School team lie, followed by a priority poll to give us a more specific idea of the wider community. In the past these sorts of surveys and polls have helped us a huge amount with deciding where we take the development of Old School. Your vote in the priority poll will make a big difference in the future of the game. We will be able to break the community down into supporters of PvM, PvP, Skilling or other content. It will also help give us an idea of the support individual pieces of content receive. This information is incredibly valuable as we move forward in 2016 and will be sure to determine a lot of what you see over the next year. As always, we encourage you to vote in the poll when it goes live. 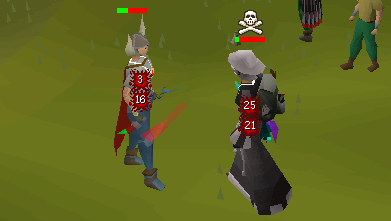 The more Old School players that vote, the more accurate our understanding of the community becomes. With Monkey Madness II planned for release in early May, we have a lot planned for the run-up to the release. Throughout April we will be drip-feeding sneak-peeks of Monkey Madness II rewards and as we get closer to the release date we will also be able to confirm more specifics for the requirements of the quest. We will also be hosting several pre-release streams to both help you prepare for the release of Monkey Madness II and to give you some insight into as many of the surrounding elements as we can. Details of the quest itself will remain completely under wraps, no spoilers! Not sure if I want another clue expansion... However i'm always open for more rewards. Will we be seeing the ability to get the new level of clue scroll in fishing bottles?? Very excited! On the topic of clues, it would be great to see alternative ways to obtain them. At the moment, there's only fishing and combat. The easter egg with the monkey madness karamjan monkey was a nice step in this direction, however it would be awesome to have more concrete ways, perhaps relating to every skill (or atleast most of them) - Getting clues from implings is also awesome! ...and maybe even clues from minigames? Will Zeah parts one and two still be happening sometime down the road? Will existing clue levels get new rewards as well, or only the new tier?